BALTIMORE (WMAR) — Baltimore City Mayor Catherine Pugh is expected to return from her leave of absence as soon as she recovers from pneumonia. A spokesman for the mayor said she will be back to work as soon as her health allows it. It's not yet clear when that will happen. 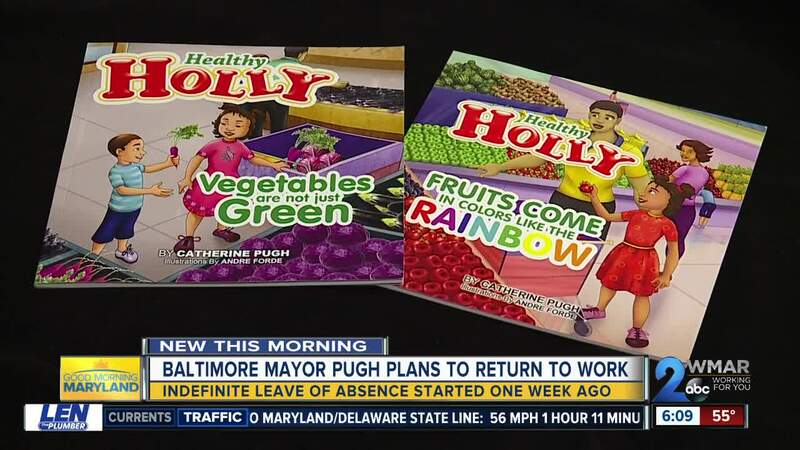 The mayor faces criticism over her Healthy Holly book deals with organizations that did business with the city and with the University of Maryland Medical System, while she served on its board of directors. Several investigations are underway looking into her book deals. Council President Jack Young is serving as the ex officio mayor during Mayor Pugh’s leave of absence.